At a recent conference, I was engaged in a multiple-day bidding war over an item for sale at the silent auction. The item eventually went for more than three times what my maximum bid was and ended up raising a lot of money for student travel. Still, I was sad to have lost, even though matching the winning bid would have meant not eating for a week or so. 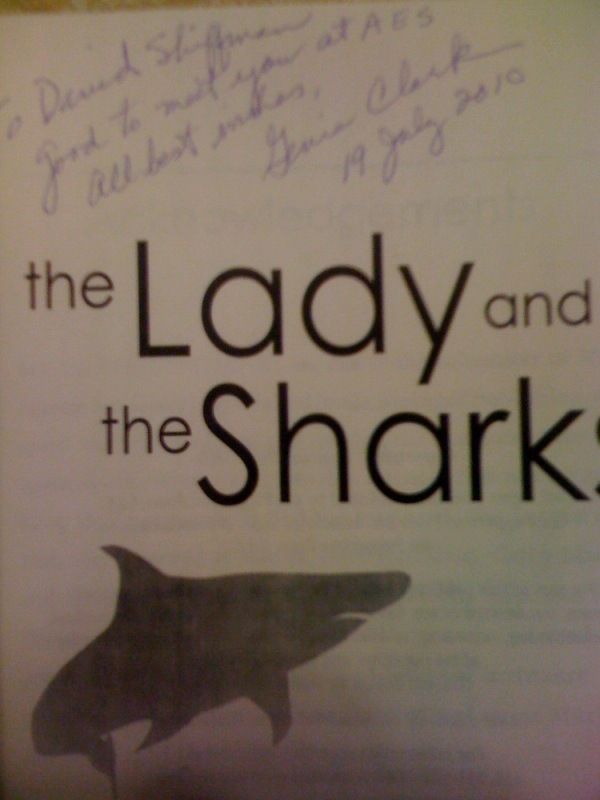 The item was a first edition copy of Eugenie Clark’s classic book ” Lady and the Sharks”, and since Eugenie was there, she volunteered to give a personalized signature to the winner. 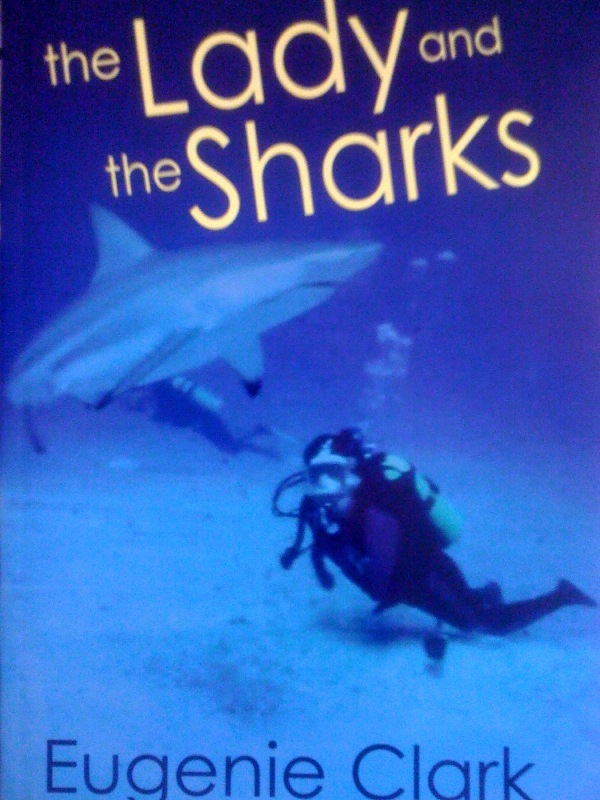 Close friends know that “the Lady and the Sharks” was very influential in my decision to become a shark biologist, and Eugenie Clark was one of my childhood heroes. After losing the silent auction, I hung around the room for about 20 minutes trying to work up the courage to talk to Dr. Clark. I told her that I had been trying to win her book, but it had gotten outside of my price range. I also told her about Southern Fried Science, and she took a business card of mine (theoretically to tell a friend whose new shark conservation organization she wanted me to promote). For those of you who can’t read it, it says “To David Shiffman, Good to meet you at AES, all best wishes, Eugenie Clark, 19 July 2010”. I think I drove a few people at the lab crazy this morning as I ran around showing my new treasure to everyone I could find. It’s no exaggeration to say that this book is now one of my most prized possessions. I personally witnessed Dr. Clark meet at least 30 grad students for the first time at AES. She and I spoke for maybe 5 minutes. Even if we completely disregard her decades of ground-breaking research, I think that this incident alone makes her a pretty darn impressive person. For the record, she recently turned 88 years old. Eugenie Clark is an original badass. That is a great gift from a great lady. I hope it continues to inspire you in your work as a biologist and shark steward.